"René Magritte's use of graphic, everyday imagery had an indelible influence on pop artists from Jasper Johns to Andy Warhol. 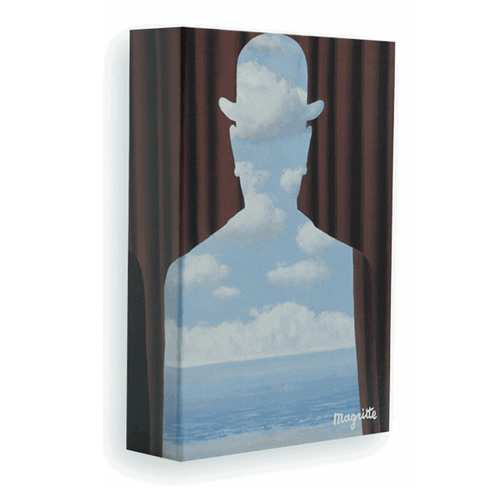 Presenting all the major works of this legendary surrealist painter, this magnificent volume is unquestionably one of the most beautiful ever published on Magritte. Written by the notable Belgian critic and author Pierre Sterckx, this limited edition is presented inside a luxurious slipcase featuring a Magritte reproduction." Pre-Order one now for $300.